Scribbles to Novels celebrates the power of the written word while raising funds to support Jumpstart’s programming. 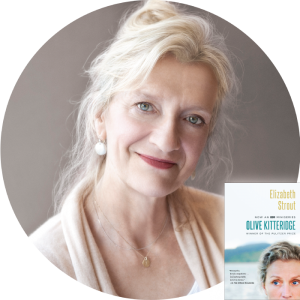 Our Scribbles to Novels gala in New York City will take place on April 11, 2019, and will feature bestselling author Elizabeth Strout. Strout is the #1 New York Times bestselling author of the Pulitzer Prize-winning novel Olive Kitteridge and the forthcoming new book Olive, Again (due out in Fall 2019). In today’s blog, we speak with Strout about her inspiration for becoming an author and her encouragement for young readers and aspiring writers. How did you discover your gift of writing at such an early age? My mother always encouraged me to write down my thoughts and observations from a very, very young age, and I credit her with the reason I am a writer. From a very early age I thought in terms of sentences, and I observed the world closely. Did you have a teacher or mentor who helped you to develop your gift? I had one professor in college who encouraged me a bit. Otherwise — as I look back — my writing was very private and I was really solitary in my pursuit of finding the right sentences to convey what I thought and saw. What authors inspired you the most growing up? All the Russians; I read them on my own when I was young, and I loved them. Also F. Scott Fitzgerald and Ernest Hemingway, and then later Alice Munro and William Trevor. What were some of your favorite books throughout the years? To Kill A Mockingbird, which I read in third grade. A lot of John Updike’s stories, which I somehow found and read as an adolescent. A Separate Peace, Catcher in the Rye, The Great Gatsby…. And then, as an adult, Philip Roth’s books as well. Your Pulitzer Prize-winning book, Olive Kitteridge, consisted of many interconnected short stories “with the heft of a novel.” Can you explain the process of writing this book that has impacted so many readers? I knew right away it would be stories, and I knew right away that Olive Kitteridge would appear in each one, though not always center stage, because I recognized that would be a lot for the reader to take. The form of the book came out of the substance of the book, if that makes any sense. At Jumpstart, storybooks offer a way to connect with preschoolers and to build their language and literacy skills, helping prepare them for kindergarten. Why is reading and early literacy important to you? Reading is one way — maybe the most important way — of discovering what it may feel like to be another person. We need this; it develops our empathy. The sooner a child can learn this, the better. Reading also allows a person to understand — I hope — that what they have thought and felt has most likely been thought and felt before, so reading brings a sense of community, even if it is experienced privately. Join us for the Scribbles to Novels gala in New York City on Thursday, April 11, to meet Elizabeth Strout and our other featured authors, including Rakesh Satyal, Vashti Harrison, Karina Yan Glaser, Christina Geist, Erica Armstrong Dunbar, Laura Cornell, and Corey Brettschneider.